Chasing Embers has a lot going for it. A beautiful cover, promising blurbs, comparisons with Ben Aaronovitch (admittedly, that particular comparison comes from the publisher's marketing team, not the blurb), and friggin dragons. (Dragons, for me, are a selling point, not a hinderance to enjoyment). Reading the novel about Ben, a dragon spending his life hiding in human form as part of a contract between all magical creatures and mankind, the story had even more things that were massive assets. My favourite pharaoh, Hatchepsut, is important to the plot. The story takes place in New York, London, Berlin and Cairo (of which New York is the only city I haven't visited or lived in). There's (genuine) myths and lore appearing. Basically, this novel sits square in the centre of a Venn Diagram of things I love in books. Urban fantasy? Check. Myths? Check. Places I know? Check. Ancient Egypt? Check. Friggin' dragons? Check and double check. And yet, it took me ages to finish the novel. I slugged through it, fighting an uphill battle all the way. The reason? The prose. Sorry, James Bennett, but your particular style is not pleasing to my ears / eyes / whichever organ I read with. It's not dense and complex in the way of China Mieville. It's just so, so, so full of unnecessary descriptions, metaphors, and writery stuff. Not music-to-my-ears bedtime story prose like Neil Gaiman's Stardust. Not musical rhythmic prose like Pat Rothfuss's. Not take-your-brain-on-a-psychedelic-ride prose like Ian McDonald. It's prose that draws attention to itself without having whatever pizzazz makes prose shine and sparkle and somehow transcend purpleness into greatness. At least, as far as my personal taste is concerned. And I have to honestly admit: there is subjectivity and taste involved. All I can say is that, despite subject matter, plot, and backgrounds, I kept contemplating giving up, all the way until the final battle. I was also a bit frustrated with our hero, Ben. He gets injured a lot. Think Harry Dresden, then add self-healing capabilities, and amp up the going-through-the-wringer factor to 11. At one point, he has been eviscerated (literally) and crushed like a fly (literally) and still he reassembled himself. He spends a lot of time unconscious (conveniently having flashbacky dreams). And in the final battle, I found myself flabbergasted that Ben didn't seem to make much of a difference. Almost the entire climax plays out while Ben is a mere spectator. By the end of the book, I didn't want to read any more about Ben: I wanted a novel about his ex-girlfriend Rose instead. 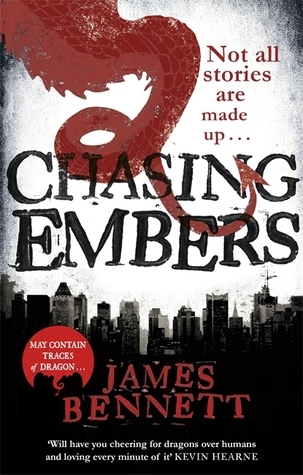 I really wanted to like Chasing Embers, but it had the reek of rookie errors / a beginner writer about it. 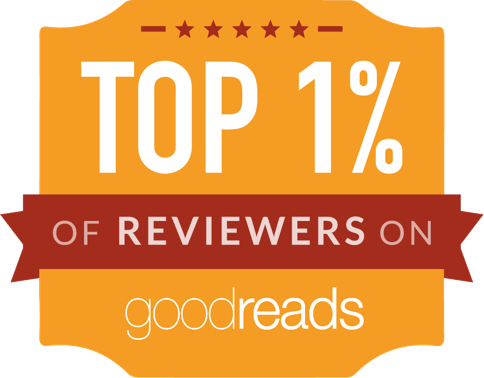 It's a novel that I can imagine being fantastic, if a ruthless editor had massaged (and occasionally bludgeoned) it into shape. In that, it reminds me of Mike Shevdon novels, which are also one ruthless editor away from greatness. In the end, I doubt I'll read any more of the novels in this series - despite the obvious research and love of subject matter that has gone into it. If your taste in prose is different, you will find much to enjoy. PS: Minor criticism: Hatchepsut's mummy has never been verifiably identified. AFAIK it does not lie in the museum in Cairo.